Whether you're a fan of science fiction, comic books, video games, or anime, we have something for you! We have several gems in the library you may not have heard of or didn't know we had! 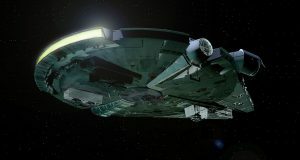 The Star Wars universe presents an extremely large world full of lore and adventure. Star Wars: From a Certain Point of View goes in depth about many of the background characters with interesting stories of their own, not even touched on in the films. This anthology brings together forty authors, each writing a story about characters from Star Wars: A New Hope with tales ranging from X-wing pilots to Stormtroopers, and more. If you're a Lord of the Rings fan and haven't read The Silmarillion, you're missing out. 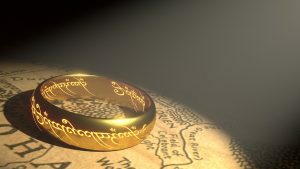 This collection of five texts goes back before The Lord of the Rings and The Hobbit, complementing the main series by exploring the lore of the world in which it takes place. 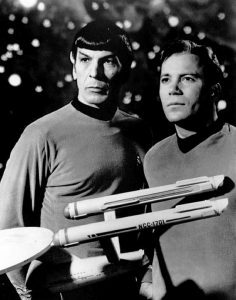 Did you know William Shatner (Captain Kirk) wrote Star Trek books? We have several of them in the library. In Captain's Peril, Captains Kirk and Picard must work together to save themselves from a murderous stalker. Written for fangirls by a fangirl, this book is a great primer to geek culture in a feminist style. It covers a range of geeky topics from fanfiction writing all the way to cosplay and conventions. It also features interviews from other girl geeks like Erin Morgenstern of The Night Circus fame, and Kate Beaton, author of King Baby and The Princess and the Pony. Halo is a popular military and science fiction video game series about an interstellar war between humans and aliens known as the Covenant. The first book details the fall of the Planet Reach, the last defense before Earth, but Reach has a surprise for the Covenant. We have eight different books from five different authors, including The Forerunner saga. 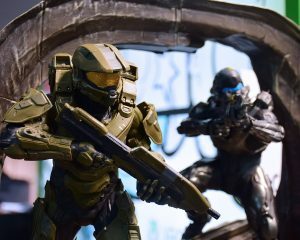 There are so many Halo books, it's hard to know where to start!